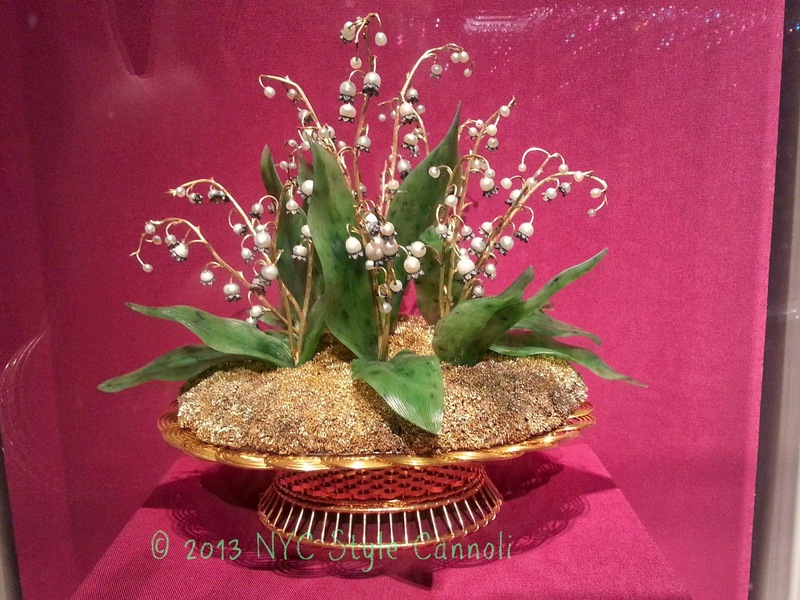 Who is not a lover of Fabergé eggs ? They are really the ultimate egg. So detailed, colorful, and such historic tales of who they were made for and given to as gifts. 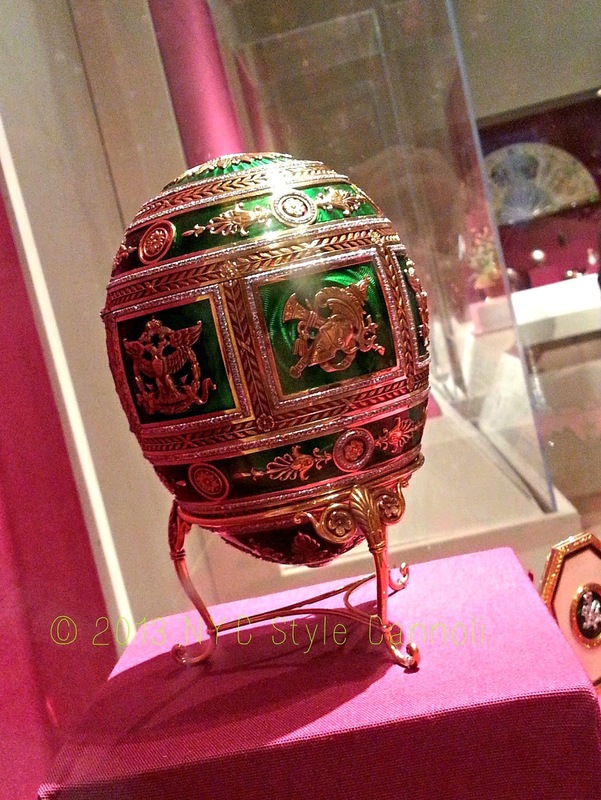 The Metropolitan Museum of Art has some genuine Fabergé eggs and you can stare at them for hours. 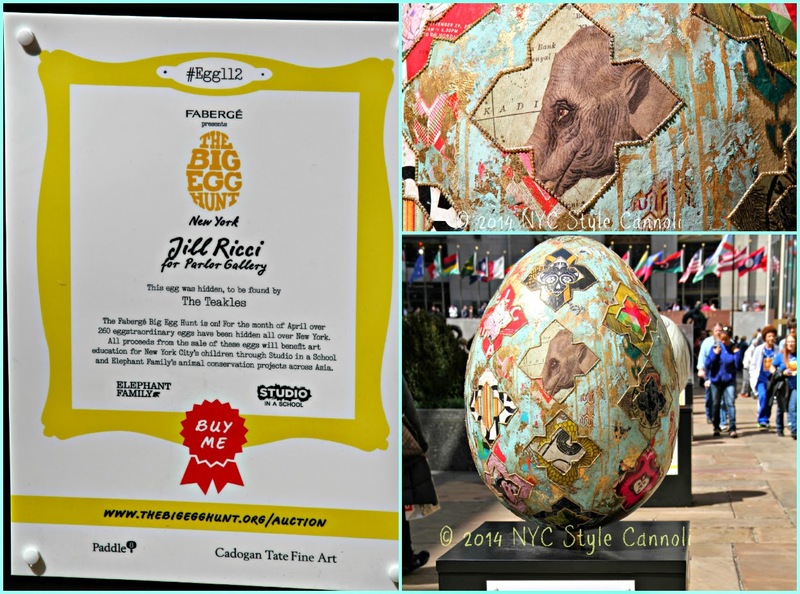 This Easter those who visit New York City have the pleasure to enjoy Fabergé’s The Big Egg Hunt, which benefits two non-profits: Studio in a School and Elephant Family. 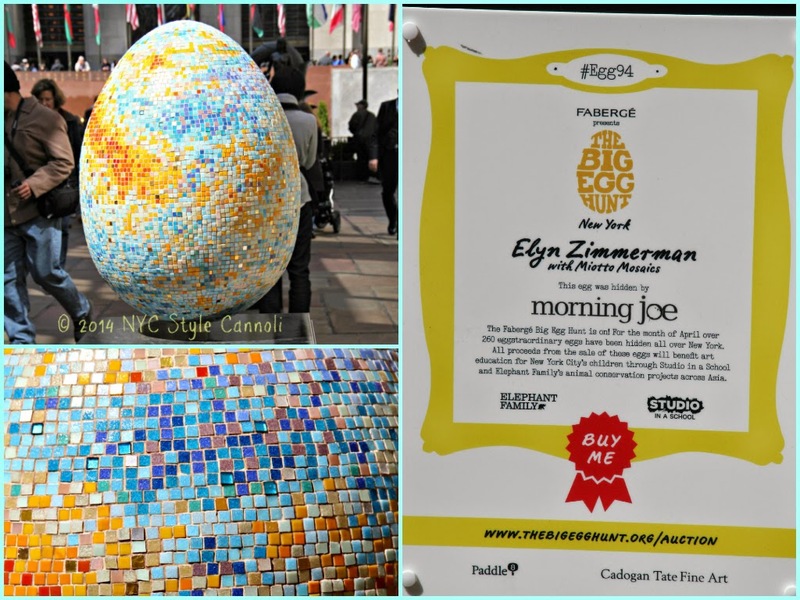 There have been more than 200 egg sculptures, created by a leading artist, designer or creative, all around New York City! Consumers are encouraged to find and check in when the find the eggs via a mobile application. I find this to be lots of fun, for adults as well as children! 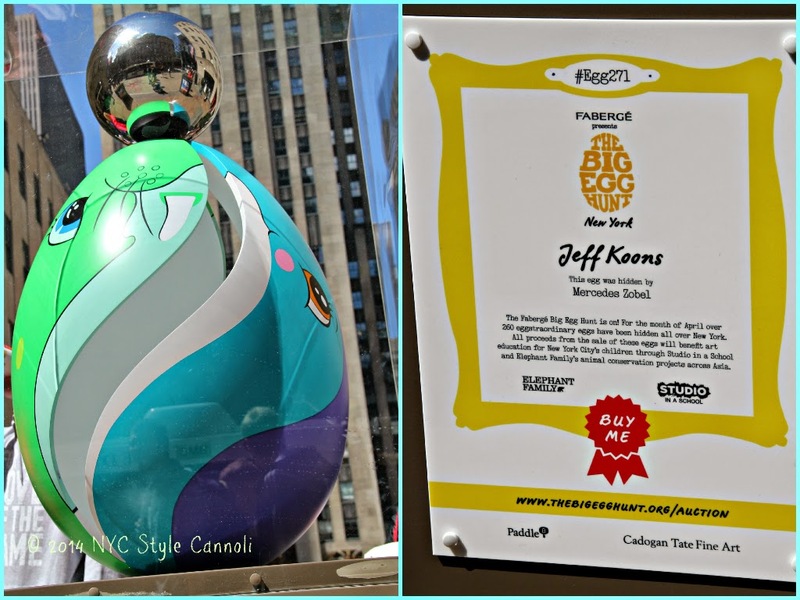 Saks Fifth Avenue is the official retail partner of Fabergé’s The Big Egg Hunt, with 9 of the eggs hidden within the glamorous store. Café SFA has even created a signature dish to celebrate the event! Café SFA’s dish is called the Golden Egg, created by chef Alexandro Reyes. 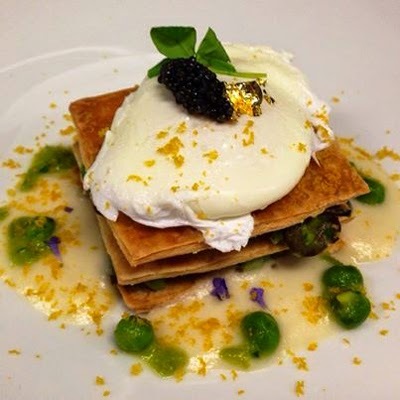 A garden pea mille feuille pastry is the base for bottarga, a poached egg, caviar and gold leaf. The suggested pairing is called the Fabergé Fizz, a cocktail with grapefruit juice, green Chartreuse liqueur, lime, mint leaves and egg white. You can sample the Golden Egg and Fabergé Fizz together for a special price of $38. 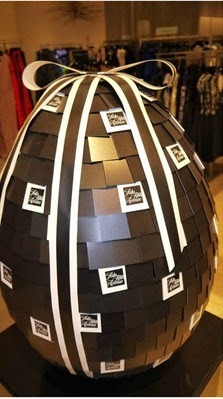 Saks has been displaying the replica eggs since the hunt started April 1st . 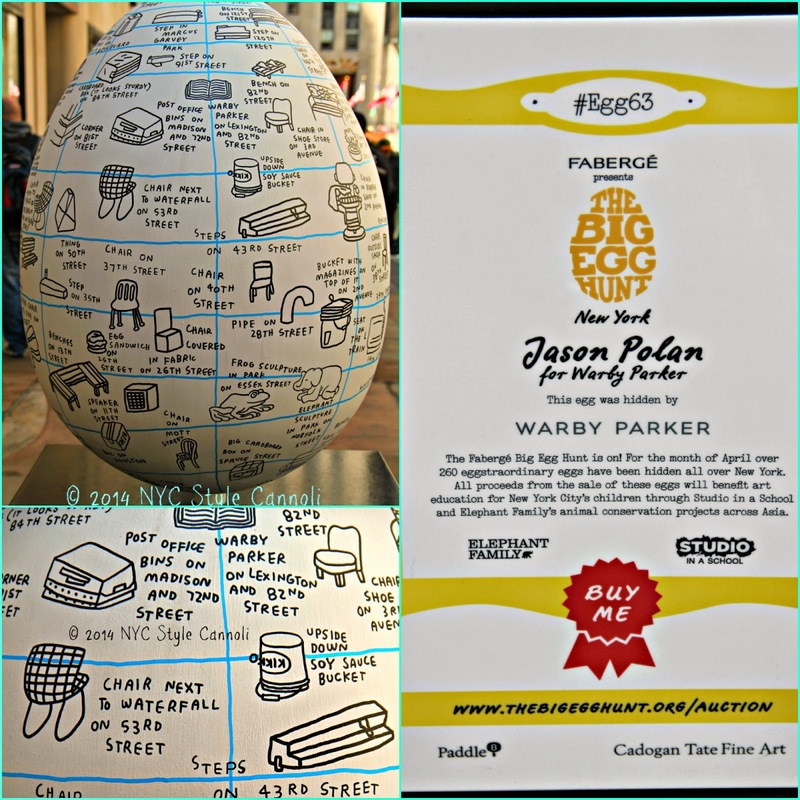 Saks is the exclusive retailer to carry the hand painted copies of the eggs, which you can purchase in-store as well as online until April 30th. 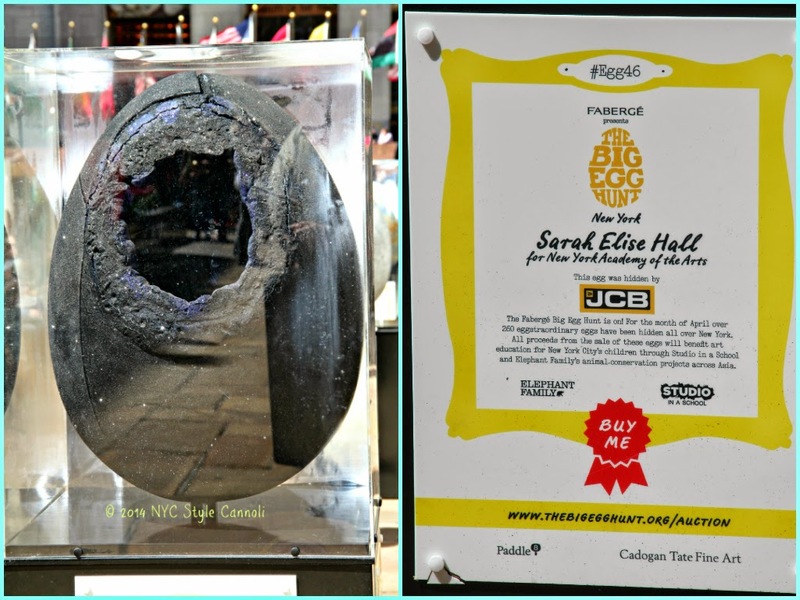 This egg is signed by Prince Charles and the Duchess of Cornwall. Pretty fitting you have to say! 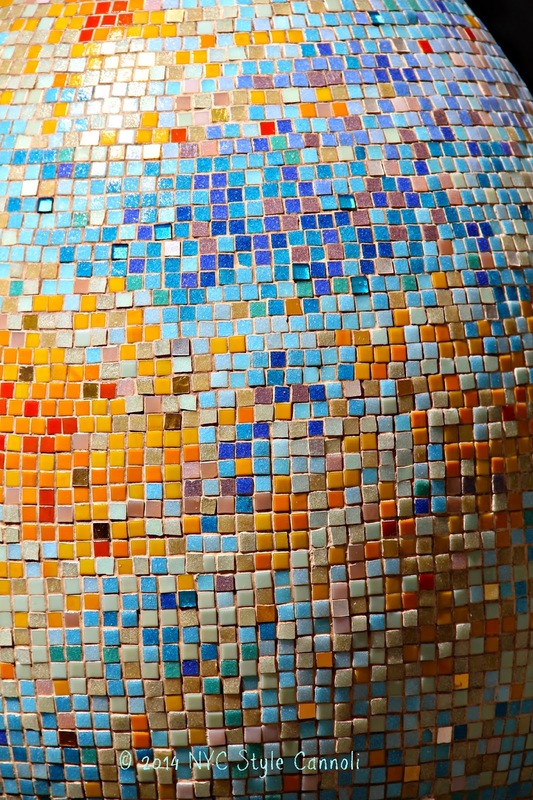 I really loved the mosaic on this one ! Beautiful ! 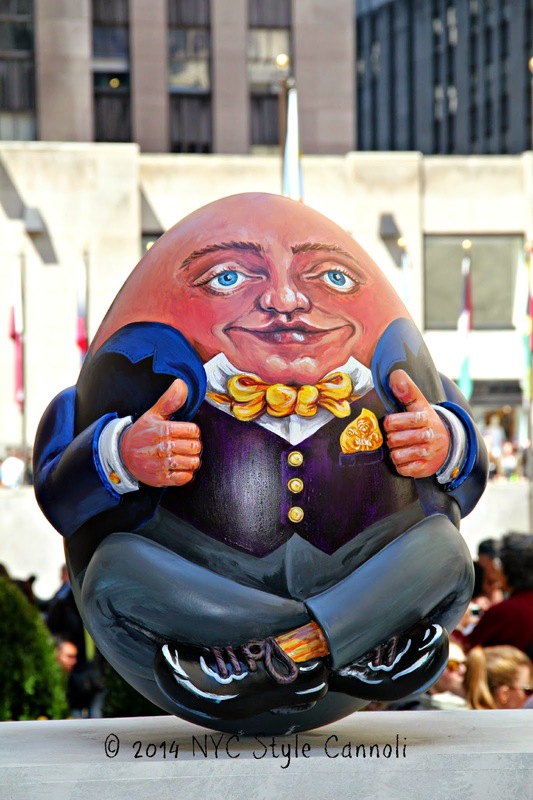 During The Big Egg Hunt, folks can use their mobile phones or tablets to “crack,” or check in, at an egg’s location through a dedicated app to participate in the game. 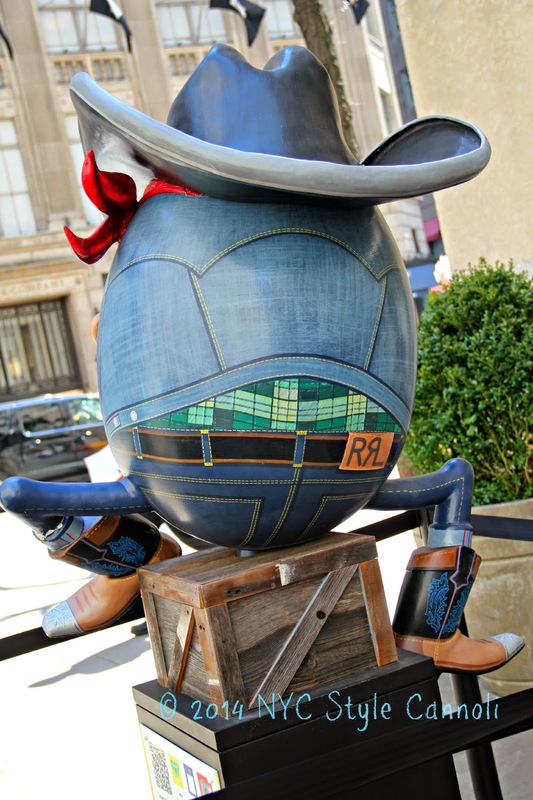 So far the eggs have been cracked more than 124,000 times, with Ralph Lauren’s egg receiving at least 1,400 check-ins. 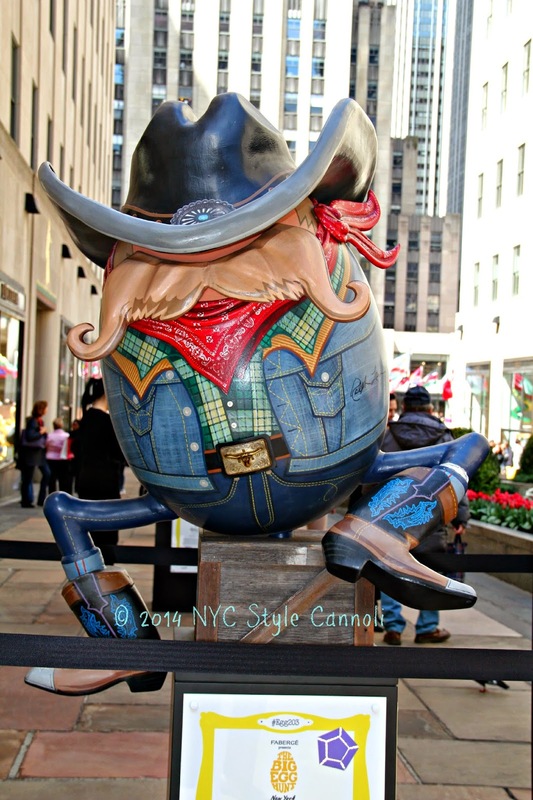 I just thought his egg was so fabulous, the front and back had me photographing for you! 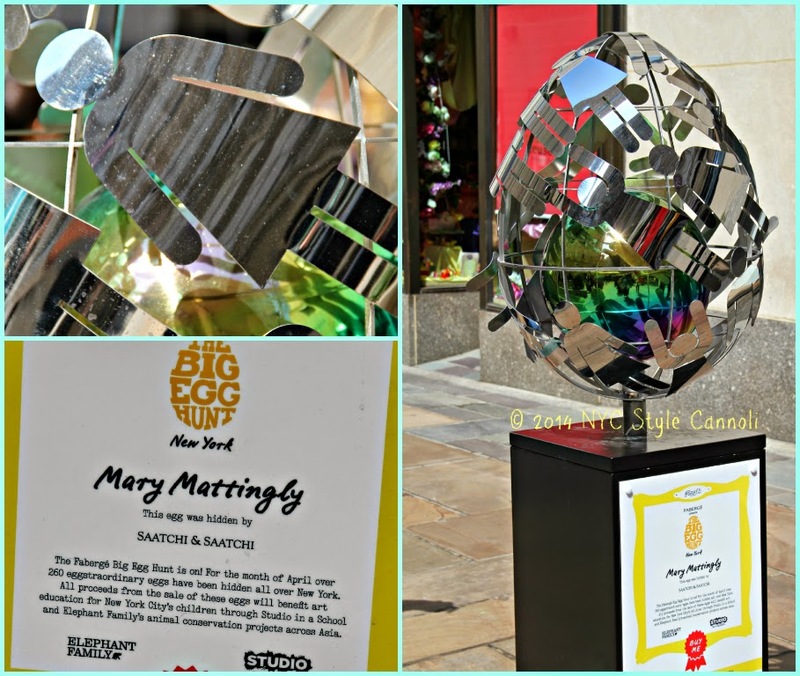 You can check out Fabergé’s The Big Egg Hunt website HERE to see what some of the eggs are being bid for purchase. If money were no object, I would bid on one for sure, the problem is, which one ?? We know that some of you will love our eggs so much you will want to take them home. Well, good news! 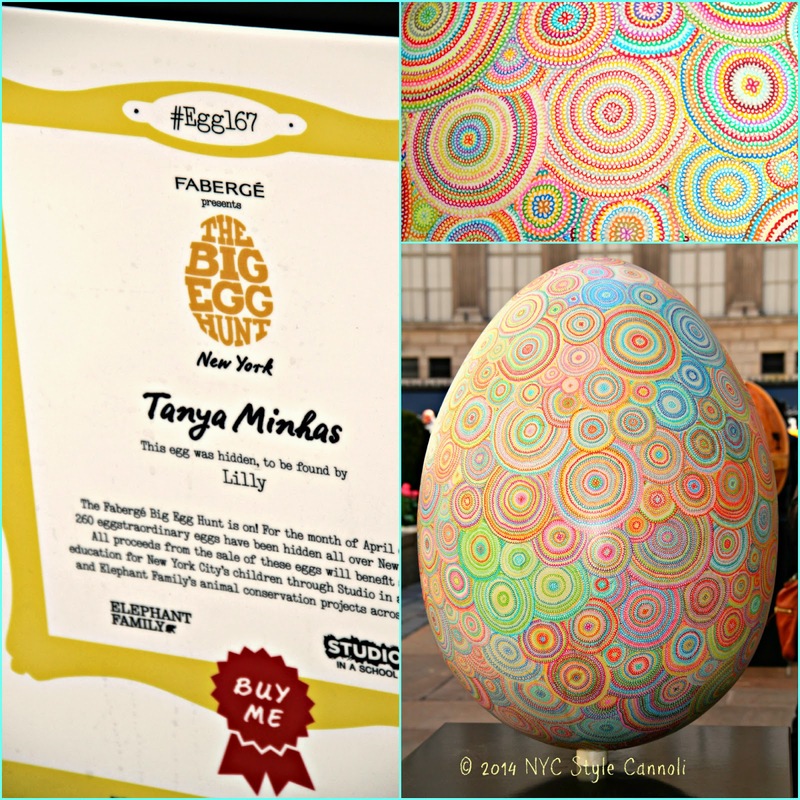 We have hand painted, limited edition ostrich eggs and mini eggs of the most popular designs in the New York collection.